The head of the International Monetary Fund has come out with a particularly critical assessment of the UK post-Brexit, arguing that it could have a “negative and substantial effect” on the economy. In a published report, the IMF warn that “the largest risks and uncertainties [related to the UK economy] relate to the upcoming EU referendum”. “A vote to leave the EU” it say, “would create uncertainty about the nature of the UK’s long-term economic relationship with the EU and the rest of the world” and would “have the potential to crystallize…baseline risks” including high levels of household debt, the current account deficit and stagnant productivity growth. The report discussed the immediate fallout in terms of trade agreements, arguing that “following a decision to exit, the UK would need to negotiate the terms of its withdrawal and a new relationship with the EU” unless all concessions to membership of the single market were abandoned which, in itself, the report said, “would significantly raise trade barriers”. Furthermore, the need for ratification of any new deal from EU member states leaves any proposed agreements “subject to considerable political risks”. The IMF does not argue that such ratification would be implausible, nor that the UK could not reach a satisfactory set of trade agreements outside of the EU. Rather, it argues that the process of putting any such agreements in place “could well remain unresolved for years, weighing heavily on investment and economic sentiment in the interim”. However, even past this hypothetical interim and into the longer term, the outlook does not look particularly good, says the IMF, and could bring with it “effects on UK output and incomes [that] would also likely be negative and substantial”. The IMF’s chief, Christine Lagarde, spoke at a press conference offering her own candid statements following the publication of the report. “Depending on what hypotheticals you take” she said, “it’s going to be pretty bad to very, very bad”. She also argued that the negative effects would not only be felt on the British Isles, describing the referendum as an “international issue”, the results of which should be considered as such. Lagarde’s and the IMF’s claims echo what was said by the Bank of England and it’s governor Mark Carney earlier this week. Carney described the referendum as “the most significant risk” to our economic stability, and argued that among the problems that could follow a vote to leave is the possibility for “a technical recession”. As with Carney’s comments, the IMF’s report did not solely focus on the referendum as cause for economic concern. And, in fact, it did offer a “broadly positive” outlook for the UK economy, but it did make it clear that at least some of the projected positive movement was predicated on maintaining EU membership. So, also as with Carney and the Bank’s comments, the discussion was not wholly myopic, but the headline points were clear and unmistakably in favour of remaining in the EU. Lagarde has come under fire from the Vote Leave camp, who accused her and the IMF of partisanship and of being used by the Treasury and the government as a proxy to “circumvent purdah laws”. “The IMF is not ‘independent’, but is funded by the EU. Lagarde is an employee of Osborne”, Vote Leave suggested. 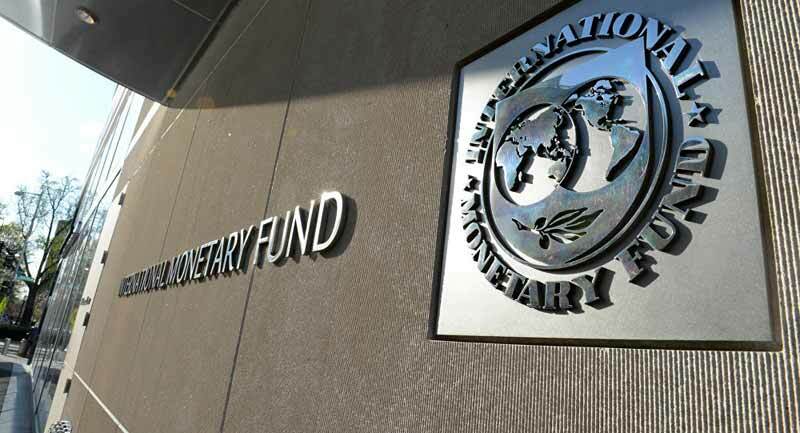 The IMF’s funding comes almost entirely from its 197 member states, each of whom pays according to a quota, with some concessions made for poorer nations. The US is by a large margin the top donor (accounting for around 18% of the total donations). Next is Japan, followed by China. Among the top ten donor countries, just four are EU members – France, Germany, Italy and the UK, collectively accounting for 17% of total donations (with the UK providing 4.27%). The rest of the top ten is made up of Russia, Brazil and India. Responding to questions about whether she is working under any influence from the Treasury, Lagarde said: “Heck no! If you are suggesting that, you don’t know the IMF”. Former Chancellor of the Exchequer Lord Lamont also weighed in, adding to his criticism of Mark Carney earlier in the week. He said: “This daily avalanche of institutional propaganda is becoming ludicrous and pitiful. Important institutions are being politicised and used to make blood-curdling forecasts. As well as the IMF offering scathing comments regarding the UK’s economic prospects post-Brexit, a recent poll from Ipsos Mori shows that increasing numbers of large businesses are looking to hedge their bets in the event of a vote to leave. 78% of business surveyed, from countries inside and outside of the EU, have said that a vote to leave would be harmful for their prospects and that they would be moving investment from the UK to other countries. Michael O’Leary, chief executive at Ryanair, made a similar point. He said: “The longer term effect [of Brexit] is we will invest less in the UK. “We will certainly switch some of our existing UK investment into other European countries because we want to continue to invest in the European Union and it will be bad for air travel and British tourism”.